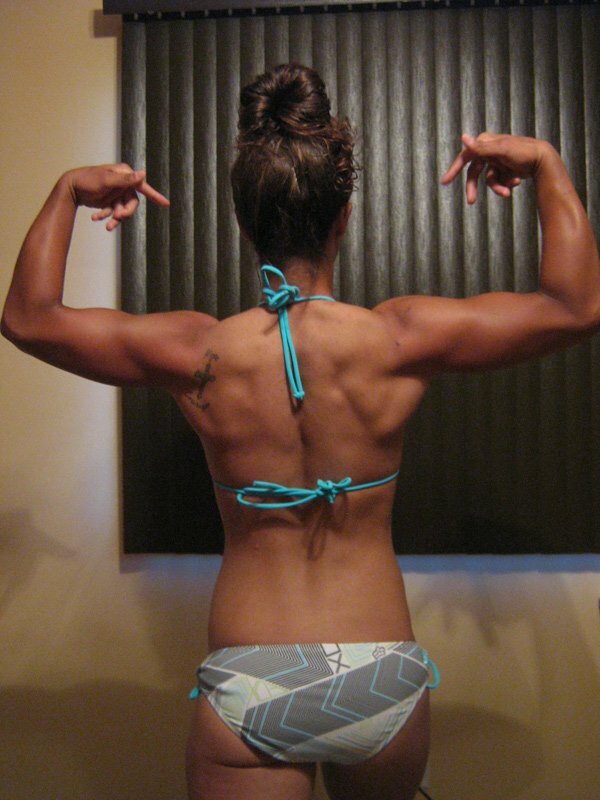 Megan's Shoulder Injury Couldn't Stop Her From Achieving Her Fitness Goal - Losing 29lbs And Getting Ripped! Megan was heartbroken when she tore her rotator cuff and needed surgery. She lost her motivation and had to recover, but she wouldn't accept defeat! Find out how Megan achieved her fitness goals and lost 29 pounds to reveal a strong, lean physique! I have always been an athletic person and constantly active. But at the end of my senior year I suffered a shoulder injury, tearing my rotator cuff. This put me out of all types of activity for awhile. I started attending Eastern Illinois University the fall of 2008. Despite the injury, I still tried to stay active trying to ignore the pain, but it only made it worse. 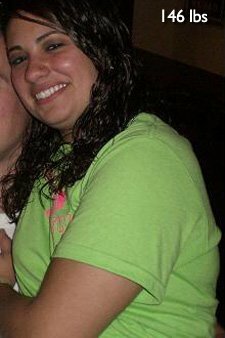 Once I found out that I would be needing surgery all exercising stopped and I gained more than the "freshman 15." My lifestyle became really unhealthy and my academics and overall well-being was suffering. I told myself that this was all going to change once my surgery was over with. I had to wait until summer vacation for my operation so I would not have to miss any school. Once May came and the surgery went smoothly, I did nothing but sit on my couch, still unable to do anything other than physical therapy. I was expected to recover anywhere from 6 months to a year, and at the beginning it was looking like it would take a whole year for it to be 100%. After about a month of therapy I could not handle the way I looked anymore. So I knew I could at least start with my diet and eat healthier. I could not have gotten started without my number one inspiration, and my biggest role model, my older brother. Seeing how he has transformed his body struck a huge motivational cord in me and I had a new goal for myself, transform my physical and mental well-being. I knew it was going to take a lot of strength to overcome my injury but I kept pushing through. I only had 2 months of actual physical therapy because I then had to go back down to school. A Huge Motivational Cord In Me. So at Eastern I did therapy on my own and it wasn't until December 2009 that I felt ready to just give it my all in the gym and make myself lift weights because I knew that eventually, my shoulder would get better and the pain would go away. I had an image of myself in my mind and I was dead set on getting there. In my years of playing sports, I had always been that athlete that gives 200% in the weight room, and I was not going to give up on bettering my lifestyle. I wanted to do this to prove to myself and everyone else that despite a surgery, injury or anything, you can push yourself through it all. I have always wanted to be inspirational and motivational to others and I had always hoped that doing this could be one way in doing so. But the biggest reason I got started, was for myself. In my years of playing sports for my school teams, I always put in that extra effort but never seemed to have my triumph, I quit two sports because of it, but this time around I was not going to let myself do that. I knew I was going to be my own coach, and I wanted to prove to myself that I could do this. I would not have made it to where I am without the enormous amount of support from my family and friends. So only seven months after surgery, I was lifting weights that nobody thought I would be lifting until after a year. It was then that my transformation really took off, and I became addicted to this healthy lifestyle. There is a bodybuilding competition at Eastern Illinois University held every March called Mr.EIU/Ms.Fitness competition. My friends at school told me I should do it, but unfortunately even though my shoulder was a lot better than before, I knew it was not quite ready yet so I started training right then and there for the following show in March 2011. Every day, I try to see what lengths I can push myself to, and each day I surprise myself. I absolutely love the challenge this lifestyle brings and could not be any happier with my physical and mental well-being. Every Day, I Try To See What Lengths I Can Push Myself To, And Each Day I Surprise Myself. I worked out Monday-Saturday, followed a strict "show-cutting" diet plan and lifted different muscle groups Monday-Friday. My cardio consisted of high intensity interval training sessions three days a week. I did a lot of research, tried different protein supplements and found what works for me. I started out using Bodybuilding.com as a source for information and different types of exercises and just asked a lot of questions to people I knew who had lost weight. I Worked Out Monday-Saturday, Followed A Strict "Show-Cutting" Diet Plan And Lifted Different Muscle Groups Monday-Friday. "Your mind is the mountain before you. "-August Burns Red. Every person is capable of losing weight, nobody can force you to go to the gym or eat healthier, the only person that can is you. You have to want it to get it. Finding a workout buddy makes things a lot easier at the beginning. Starting out is the hardest part, but getting into a routine and set schedule also helps out a lot. Patience is also key, there will be times where you will not see results, but the results will come all in good time. Keep an image of your body that you want to strive for and keep that image in your mind everyday you are at the gym, and with every rep and set you do. Ask questions, do research, find an inspiration and get to it. And always tell yourself you can do it. Mentality is everything in this journey. Everybody is going to tell you different things, do what works best for you. It is all about trial and error, experiment with different things and find out what works for your body.